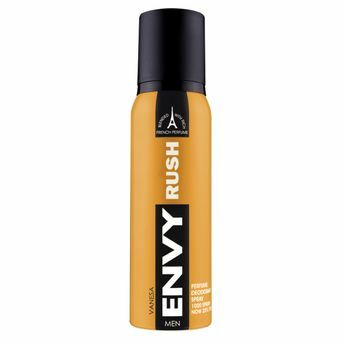 If you want to smell good without spending a fortune then Envy Rush Deodorant is perfect for you. The intense smell of this deodorant makes you feel energetic. Made from natural ingredients it doesn't harm your skin. Even a small amount lends you awesome scent that stays with you till the end of the day. Additional Information :Envy 1000 creates deodorants that connect to real man. It has a range of deodorants that gives you practical, permanent solution of your grooming needs. Use Envy Rush Deodorant every day for a refreshed feel.